WEST CHESTER’S SHRINKING MAN REACHES COLLEGE WEIGHT TODAY! Get on the Carb Light Living™ Program! Get back to YOUR college weight, or high school weight. You can be wherever you want to be – in weight or in life! “I don’t feel hungry…don’t feel like I’m on a diet or that I’m missing anything.” That is what Gary said this morning, all grins. He even wore a suit he bought nearly 30 years ago when he first entered the real estate profession! 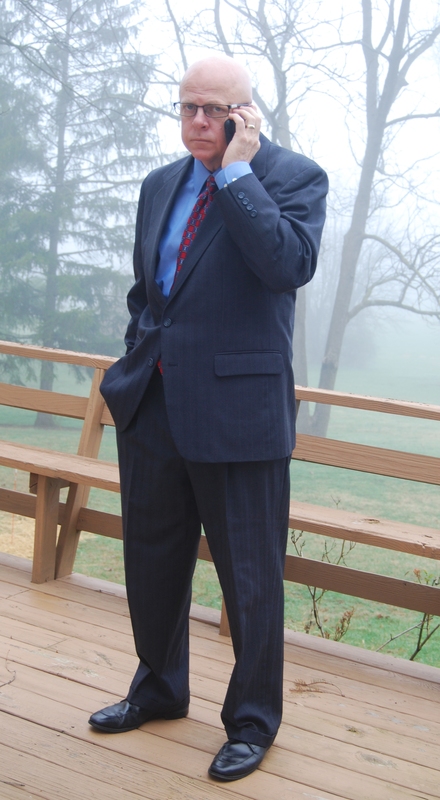 I snapped this picture of him on our deck this morning, as he stepped outside to enjoy the fresh air, while taking the first business negotiation call of the day!